The Computar model TEC-M10110MP provides 1.0X Magnification at 111mm Working Distance for megapixel machine vision C-mount cameras. A low distortion design provides crisp image reproduction across the full sensor array. Purchase a participating product and if it fails under normal use within 18 months, we'll ship you a replacement free of charge. Look for the 18 Month Warranty Gold Seal for participating products. The Computar Model TEC-M10110MP is designed for machine vision cameras with 2/3″ sensor formats and up to 2 megapixels. 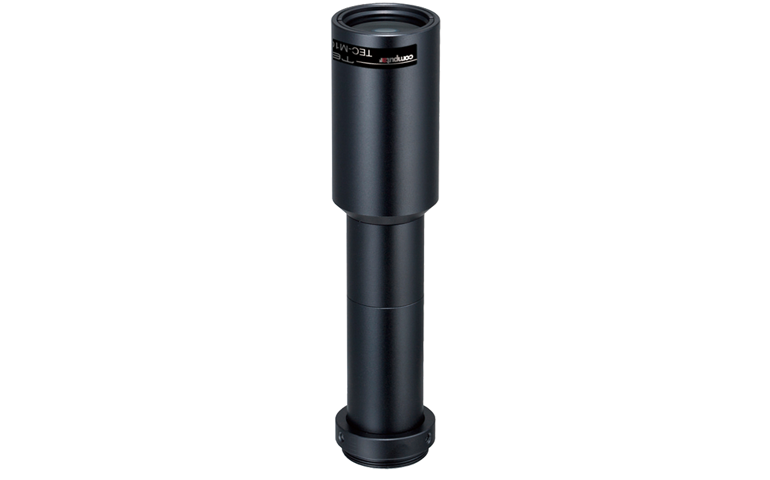 The low distortion design provides crisp imaging across the full viewing area at a working distance of 111mm with a 1:1 magnfication.